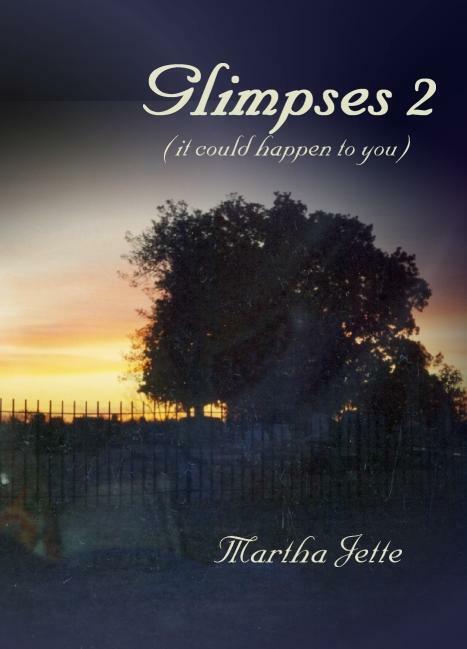 Glimpses 2: It could happen to you, is a collection of 90 paranormal stories from around the world. Brought to you by Martha Jette, a retired newspaper and magazine editor from Canada, this second book is a supernatural treat you won’t want to miss! Each section is split into chapters A – Q and contains a broad spectrum of subjects from ‘Visits from the other side’, ‘Premonitions’, ‘Dreams’, ‘Angels’, ‘Haunted Homes’ to UFO’s. You name it, this book has it. Reading some stories actually made the hairs on my neck stand up and quite honestly made me feel like a child scared of the dark again! For instance, imagine never having seen a ghost before, and then one frequents your bedroom late at night and just stands at the bottom of your bed staring at you. To make matter’s worse, you are only a child. How would you deal with such a frightening ‘gift’ so young? Have you ever been touched, but when you turn round there is no one there? Are your developed photographs showing additional people or orbs, which were not present when you took the picture? Although unsettling, this is fascinating material I adore reading. What gives this book the edge is knowing these are non-fictional accounts and photographs of unexpected visitors from another dimension. Strange, but true occurrences are happening to real people, just like you and me. It is for this reason, I feel I should also point out some of the black and white photos are not printed as well as I would like to have seen them. Having said that, in the front of the book it states quite clearly these photos are genuine candid photographs taken by amateurs. It should also come as no surprise to hear that snapshots showing spirits and paranormal entities (who give no warnings when they are going to show up) are not taken by people with the resources to ‘wait’ or ‘set up’ the perfect ghostly shot. Yet somehow, they have managed to capture the essence of the supernatural without even knowing it! Have you looked at your photos lately? I mean, really looked. Martha Jette has found some interesting photos and stories to share with us. I particularly like reading about the accounts of people deemed clinically dead who are returned to the land of living because it is not their time to leave us. Did you know that some survivors of near death experiences develop newfound psychic abilities? 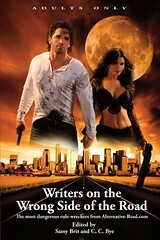 All in all, this makes a great coffee-table book, as it is an ideal conversation starter! The actual tales were enjoyably scary and really spooked me out! More than once I found myself wondering what that ‘noise’ was, and wishing I hadn’t decided to read this alone, late at night! There are so many memorable stories to quote, but my all-time favourite must be the haunting of nine-year old Pamela who carries her doll around with her and came back to find her lost locket and clear her father’s name. There is also a good photo of both the little girl and her doll standing in front of the window. If you are interested in hearing a cross section of real life spooky tales then this is the book for you. But it’s not all fun and games. Among the heart-warming tales of returned loved ones, are the more sinister, creepy stories. Some ghostly apparitions are visitors from the evil side summoned via people messing about with Ouija boards, when they should know better. Something for everyone. Take a tip from me, don’t read these stories alone, late at night or if you are of a nervous disposition, unless like me, you enjoy scaring yourself witless! Above all, please remember, many of these situations are occurring to ordinary people who are not professional psychics. At the risk of sounding like somebody’s Mum, take care and don’t mess about with Ouija boards, because as Ms Jette’s book title suggests, it could happen to you. If you have any questions or would like to share a paranormal experience, please contact Martha Jette at: marthajette@yahoo.com or visit her website.